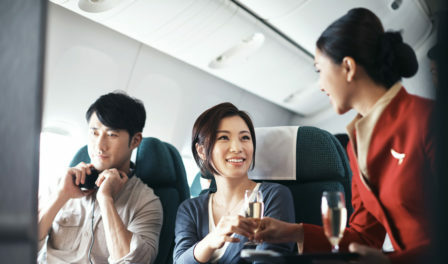 Cathay Pacific Airways has been named the World's Best Airline in the 2014 World Airline Awards. Posted on 14th July 2014 in 2014 World Airline Awards. Farnborough International Airshow. 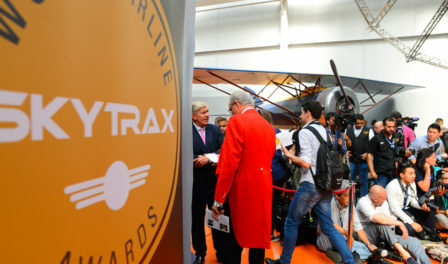 Farnborough International Airshow played host to the 2014 World Airline Awards, which were held in front of a packed audience of high profile airline industry leaders. 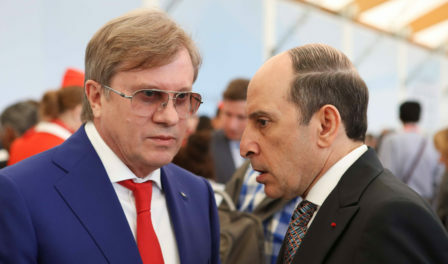 “The World’s Best Airline award is particularly important to us because it was decided by the votes of close to 19 million travellers from around the world. Thank you to everyone who voted for us,” said Mr Ivan Chu, CEO of Cathay Pacific Airways. “Being awarded The World’s Best Cabin Staff 2014 is certainly an honour for all of Garuda’s dedicated employees – and in particular our cabin crews, who have committed themselves wholeheartedly to the advancement of Garuda Indonesia and have embraced the challenge together to achieve a level of Service of Excellence. I believe that this award will serve as further inspiration for Garuda and its employees to remain committed and even improve further, while it will also mark another milestone as a firm recognition of the sustained development which we have continued to make over the recent years, not only in terms of services, but also throughout all aspects of our company,” added Mr Emirsyah Satar. Bangkok Airways was voted the World’s Best Regional Airline by customers. Bangkok Airways President, Mr Puttipong Prasarttong-Osoth received the award and said the awards were testimonials for the airline’s “Service with Passion” campaign launched this year. They also reflect the revamps undertaken across the board to the airline’s products and services for international travellers, who constitute up to 70% of the airline’s clientele, said Nandhika Varavarn, Bangkok Airways VP Corporate Communications.